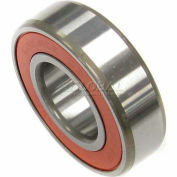 ORS, Deep Groove Ball Bearings, P53. Machine tools and other precision equipment require superior bearing performance; high rotational speed, high degree of running accuracy, minimum friction and heat generation as well as quiet and smooth running. 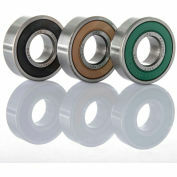 ORS P53 (ABEC 5) Deep Groove Ball Bearings help optimize performance of these applications. 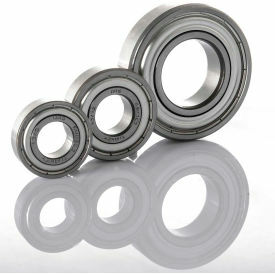 ORS P53 bearings are used in machine tools, machine spindles, mills, high speed turbochargers, aerospace, robotics and health industrial machinery. 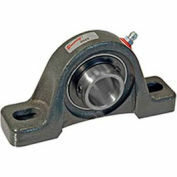 Bearings are made of AISI 52100 grade steel heat-stabilized to 300°F, in ABEC 1 tolerance (ISO Normal) and with C3 radial clearance. All of ORS bearings are 100% noise tested and produced to EMQ. Forgings and heat treatment are done in house. 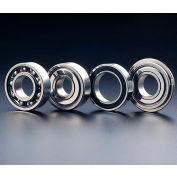 ORS Bearings Inc. was established in 1982 with the license of Steyr Waelzlager of Austria, and headquartered in Ankara, Turkey with its 1,000,000 square foot production facility. The company has been granted numerous awards and certificates such as ISO 9001:2008, ISO/TS 16949:2009, ISO 14001, ISO/IEC 27001:2005, OHSAS 18001, FORD Q1 and many more.